Harsh, strong desert lighting. The light colours used (especially in the background) illustrates the glare of bright desert sunshine. Short shadows as sun is overhead. 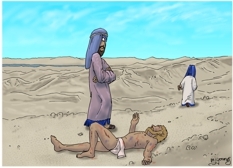 The Hebrew victim lying on the road, with a priest walking by in the distance, & a temple assistant (Levite) peering at the man on the road, not willing to touch him. 01) (This page) Luke 10 – Parable of the good Samaritan SET01 – Scene 02 – Passers-by. 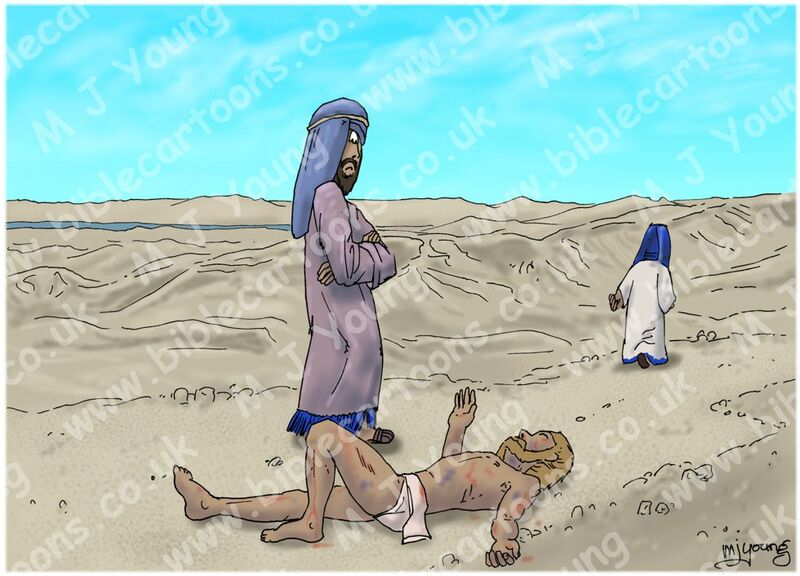 02) (Next page) Luke 10 – Parable of the good Samaritan SET02 – Scene 02 – Passers-by.